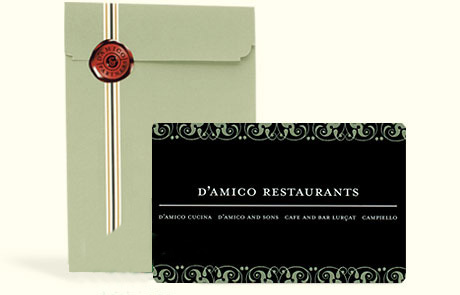 Give the gift of a D'Amico Gift Card. Our gift card site has moved to a new and improved system. If you are not redirected, please click the link below. Click here to go to NEW SITE!